Baz: "I hope we can close the gap with the fastest guys"
After an eventful summer, Loris Baz (GULF Althea BMW Racing Team) makes his return to the Autodromo Internacional do Algarve in a competitive setting for the first time since 2014. The 25-year-old was called in as a replacement rider for Pol Espargaró at the British GP three weeks ago and as such was not present at the Official Test at Portimao but will be hoping his previous experience at the Portuguese track will serve as an advantage this weekend. 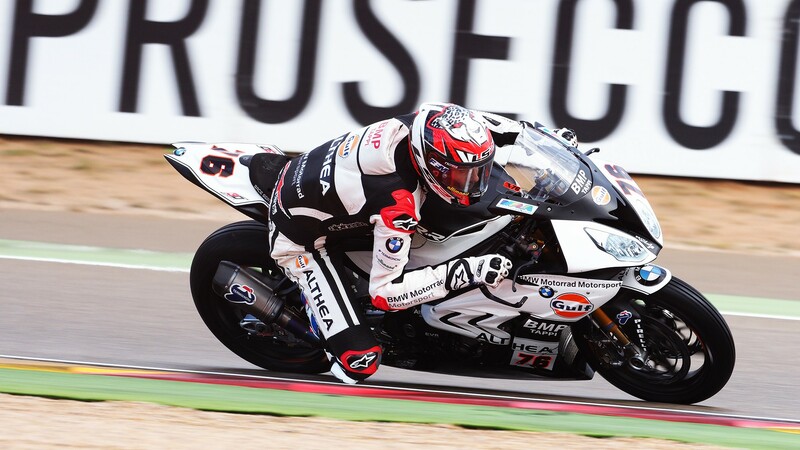 Baz competed at Portimao on a Kawasaki from 2012 to 2014, finishing inside the top seven in all six races and with a best result of third place (Race One, 2014). The French rider is used to good performances in Portugal and will be determined to ensure that this season’s Nolan Portuguese Round is no different, as he and the GULF Althea BMW team look to push back after slipping out of the top ten in the championship standings. Aside from his one-time MotoGP™ return, Baz has kept busy during the break and will arrive in Portugal with his batteries fully recharged: “I’ve spent the summer in Spain, training and riding Supermotard. I hope we can make some improvements in the final part of the season. We tested at Portimao last winter, so I hope we can find good pace. I just hope we can close the gap to the fastest guys and fight close to the front, in order to finish off the season as best we can”. 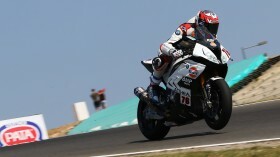 Follow the BMW rider’s progress throughout the Nolan Portuguese Round from 14th-16th September with WorldSBK VIdeoPass. Baz: "We all start on the same page"
Baz: "A little wet weather would actually help us"